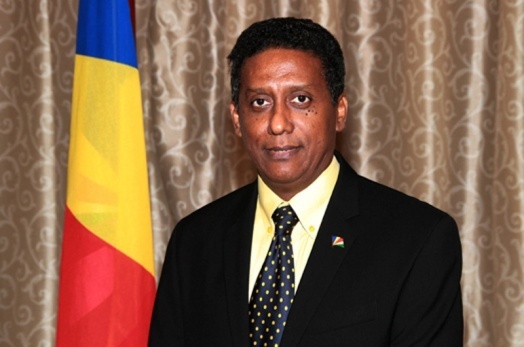 Vice-President Danny Faure has strongly reaffirmed Seychelles’ position on key issues at the 18th COMESA Summit, held on 30th March 2015 in Addis Abba, Ethiopia. Vice-President Faure echoed Seychelles’ unwavering support for the launching of the Tripartite Free Trade Area (FTA) scheduled to take place this year, in Sharm El-Sheik, Egypt, but requested for more flexibility for the Rules of Origin, specially pertaining to fisheries. He also made a strong appeal for consolidated move towards a full Economic Partnership Agreement (EPA) with the European Commission, despite the different levels of readiness of member states. To this end, the Vice President invited the COMESA Secretariat to become more involved in offering assistance to all member states, to ensure a smooth transition for all countries involved. The Vice President also congratulated the PTA Bank for its prominent role in strengthening intra-regional trade and driving economic growth in Sub-Saharan Africa by providing finance for infrastructure projects and facilitating trade. He concluded that as one of COMESA’s institutions, member states should be proud of its excellent performance over the last year, and the strong support it has shown both within the region and globally, as shareholders and institutional investors continue to invest in the Bank, including the Seychelles Pension Fund as an investor. The Commission is an international organisation established by COMESA Competition Regulations, which promotes and encourages competition by preventing restrictive business practices and other restrictions that deter the efficient operation of markets, thereby enhancing the welfare of the consumers in the Common Market, and protecting consumers against offensive conduct by market actors. Mr. Tirant will serve a term of 3 years, with a possibility of renewal. Vice President Faure was accompanied by Ambassador Barry Faure, Secretary of State for Foreign Affairs, Ambassador Claude Morel, accredited to COMESA, Ambassador Joseph Nourrice, resident Ambassador to Ethiopia and the AU, Special Adviser Hans Aglae, and officials from Ministry of Foreign Affairs and Transport and the Ministry of Finance, Trade and the Blue Economy.